What comes to mind when you think of a resume? Working with recruiters, submitting job applications, going on nervous interviews? Not exactly the most pleasant images in the world. I have good news though: As a freelance writer, resumes don’t play quite as big of a role in landing work as they do for the full-time, 9-5 crowd. But that doesn’t mean you can afford to ignore your resume. Some of the most lucrative freelance gigs come from positions filled in the typical manner: Through job postings, interviews, and yes, resumes. 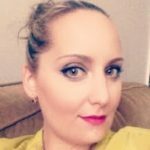 Why do I need a resume as a freelance writer? It’s true that a portfolio does a better job of showing off your actual skills as a freelance writer. After all, you’re getting paid to deliver a product – what better way to show off that product than a gallery of your samples? Well, people are creatures of habit. Hiring managers might approach it the same way they would for a full-time role. It’s what they’ve always done. Most of the time, your portfolio, case studies, and testimonials from previous clients will be more important than your resume. But some employers – even hip, “modern” marketing agencies – want you to have a resume. There’s no getting around it. The good news is, having to send in a resume is another opportunity to show a prospective client how great of a fit you would be for an opening. What should be in my resume? Everyone has a slightly different idea of what makes a good resume. Just keep in mind, you’re a writer: The goal of your resume isn’t to show a potential client how great you are at coordinating colors or choosing border patterns on Word. When in doubt, err on the side of plain, clear, and simple. To sum up the way your resume should look, I like to use an analogy from the fashion world. Experts in the field agree: Whether attending a social party or a workplace event, it’s best to be slightly better dressed than other guests – around 25%, to be exact. You want to look nice, without being ostentatious. The same principle applies to your resume. 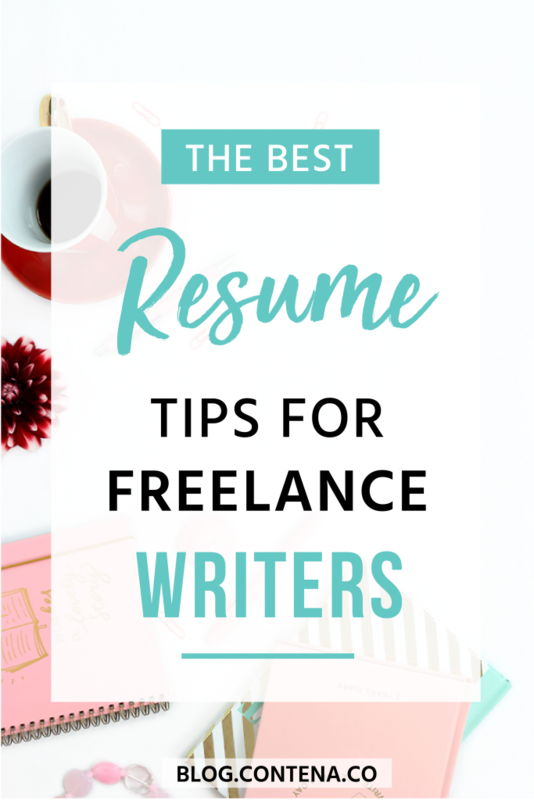 You want your resume to be cleaner, more comprehensive, and better structured than other writers looking for the same gig. But you don’t want your resume to be so wildly different or difficult to comprehend that it separates you from competitors in a bad way. In other words, your resume shouldn’t be the guy who wears shorts and flip flops to a business conference where most guests are wearing suits. It should be the guy who has on one of the best-looking suits in the room. Keep it short. It’s best to fit everything on one page. Play around with the margins and spacing to add more room if you need to. You want every job and skill to be relevant to freelancing so some experiences might not make it–and that’s okay! Grab attention right away. Research shows that recruiters sometimes spend as little as six seconds reviewing a resume. It sounds harsh, but when you’ve got hundreds of resumes to go through, it’s just not feasible to take an in-depth look at each one. Accordingly, put your strongest skills, previous positions, and qualifications towards the top of your resume. Just like the hook in a good piece of writing, they’ll get the recruiter to continue reading, improving your chances of getting the job (or at least an interview). Highlight experience relevant to each specific gig. Don’t be afraid to substitute one job or certification for another if it makes sense. For example, your certification as a lifeguard might not be valuable for a gig that is primarily SEO, but if you’re applying to be a fitness blogger, include it on your resume. Emphasize results and deliverables. As a freelance writer, you aren’t an employee getting paid to show up for a certain number of hours. You’re a business providing a service to another business, with an expected outcome or result. Even if that outcome is just the creation of a quality blog post or piece of content, include it on your resume. If you have hard data or metrics to go along with the deliverable you provided, even better. Include the biggest brand-names and companies that you possibly can – even if your project or role with them was relatively small. As a freelancer, you’re being evaluated as a business, not as an employee – and one of the main ways people evaluate businesses is by looking at their clients. It may not be fair, but a small role or contract at a Fortune 100 company will be looked on with more regard than a major job at a business no one’s heard of. It’s why seasoned freelance writers can command higher fees – they have the portfolios to back it up. As I mentioned in the intro, resumes aren’t quite as important when you’re not trying to get a 40-hours-a-week, full-time gig. 1. Your previous track record – Always include a portfolio to go along with your resume. If one of your pieces blows away the hiring manager, what’s in your resume won’t matter much at all. Additionally, remember that numbers don’t lie. If you’ve recently worked on a campaign with great results, make sure to feature it alongside your resume – even if you mention it in the resume itself. Consider writing up some case studies about previous campaigns that have gone really well, if you have the material. 2. Your communication – Remember, the recruiter or hiring manager is likely looking at several candidates for the gig or project. One of the best ways to stand out as a freelance writer is the way you communicate. Since this communication will primarily be through e-mail, don’t be afraid to take risks – throw in a joke or a bit of wit, if you can think of something relevant and appropriate. Use the subject line to make an outrageous statement. Above all, communicate confidence in everything you do and say. Act as if this project, gig, or role was custom-made specifically for you – even if you don’t feel that way. Go confidently to the job opening, or don’t go at all. With a well-crafted resume, crisp communication skills, and plenty of confidence, you’ll significantly raise your chances of landing that dream gig or project. Bonus!! Want a freelance resume sample? Here’s a resume sample to help inspire you – mine! Other than a few formatting tweaks, I intentionally left it the way I submitted it for the last position I was interested in, a content management role at a Fortune 500 company headquartered here in my home market of Washington, D.C. This company was specifically interested in candidates with volunteer experience. And even though I work on projects ranging from SEO to editing to paid advertising, I highlighted my experience as a writer and manager, since the role was an even mix of writing and project management. Hope this helps you with your own freelance resume.